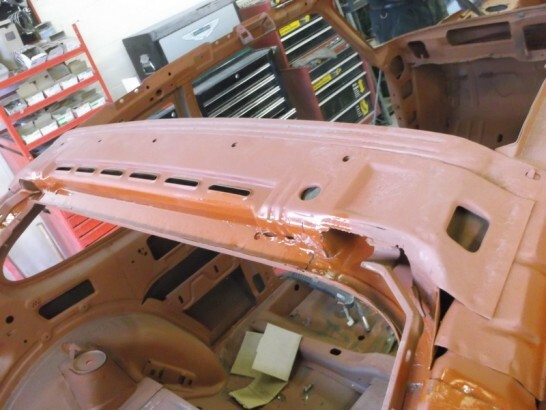 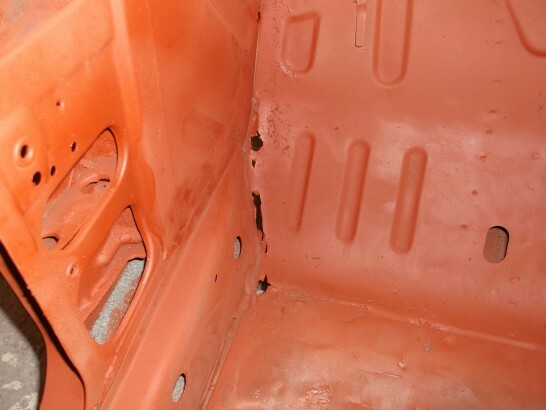 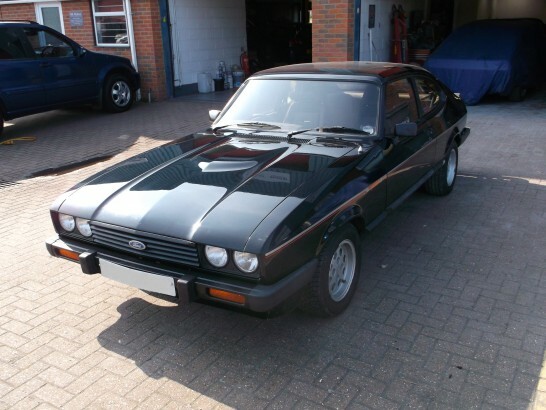 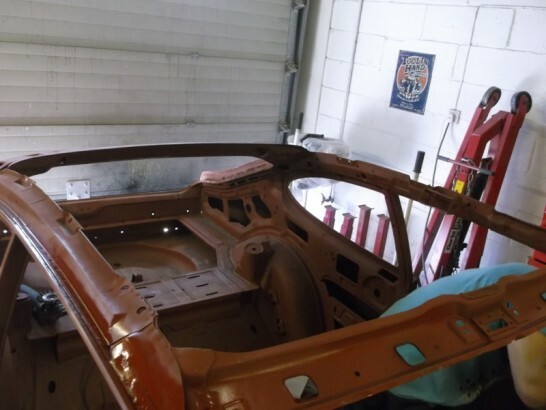 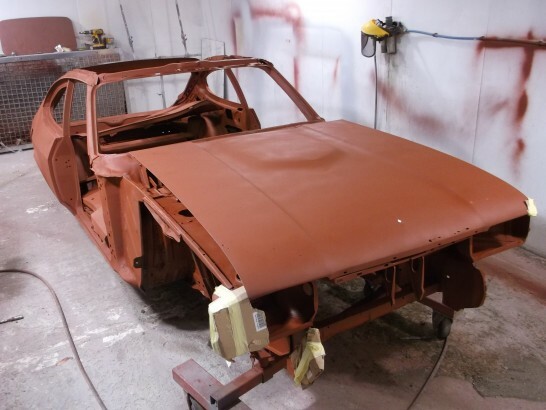 Restored a few years ago and unhappy with some of the paintwork the Capri was brought to us to rectify the issues but it soon became apparent that the Capri was in need of a lot more work than originally expected. 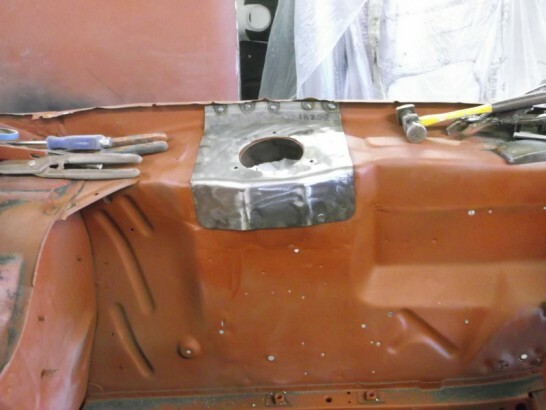 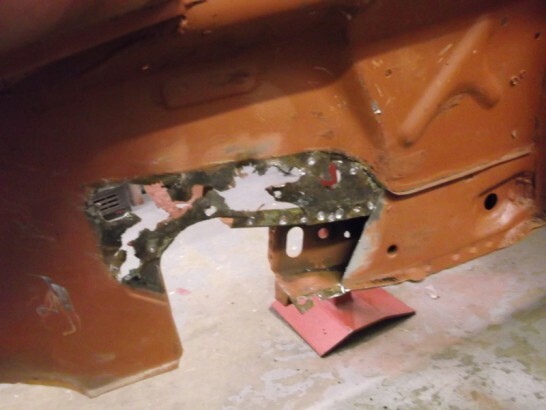 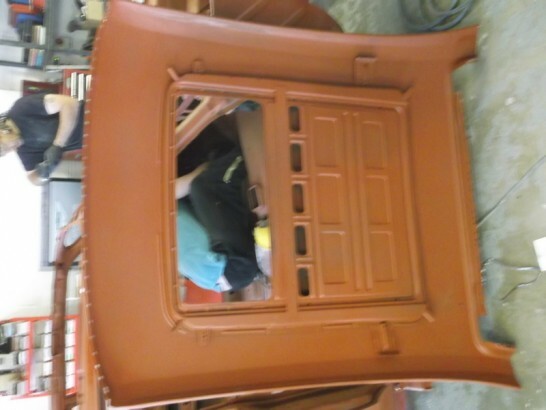 The combinatiom of rust and peeling paint has left little choice but to have the shell media blasted. 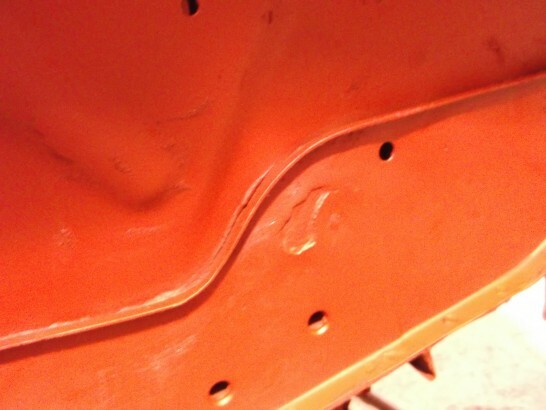 Just about every panel on the 2.8i has corrosion somewhere. 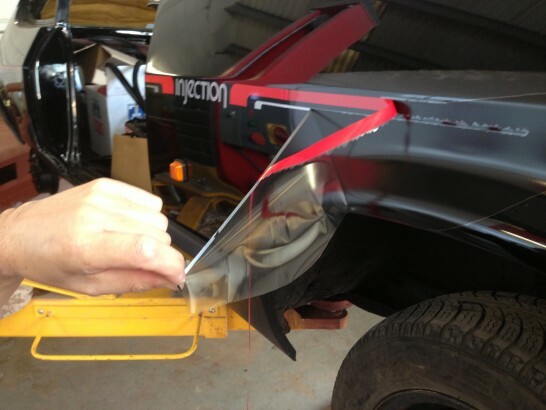 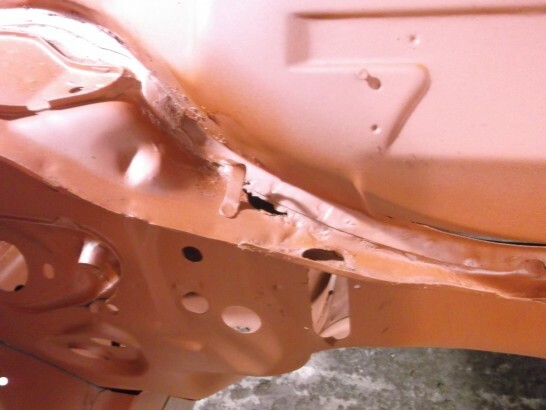 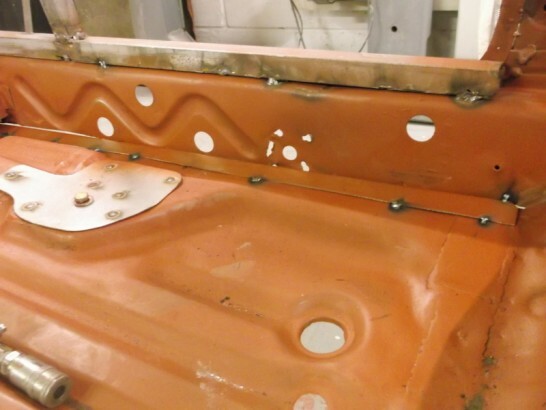 At the customers request we have carefully salvaged some of the genuine Ford panels that were fitted at its last restoration, unfortunately not all could be saved and new items will need to be sourced. 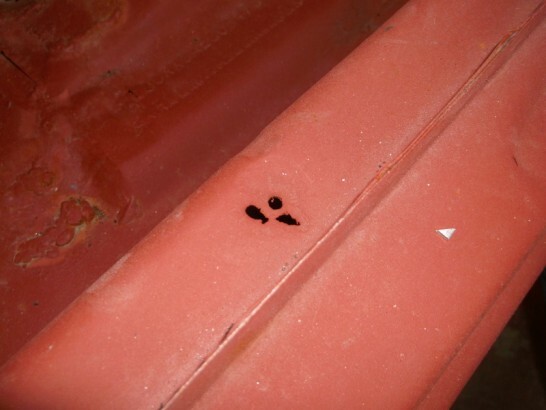 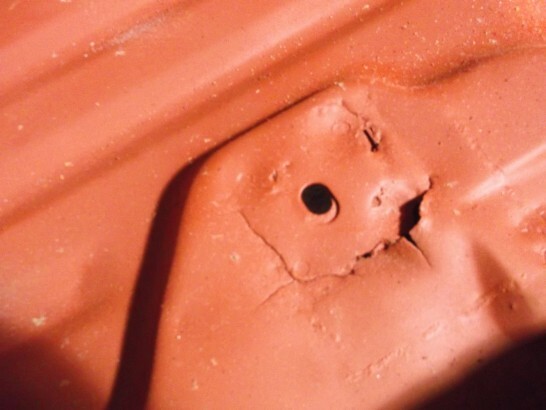 A new roof skin will be needed due to the corrosion on the roof being irrepairable. 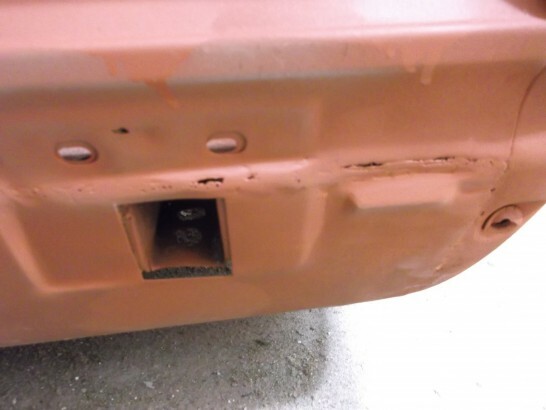 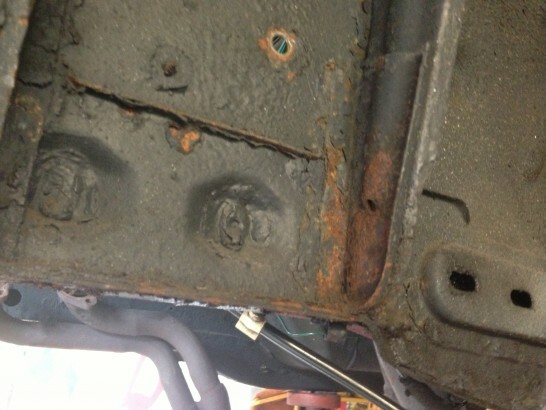 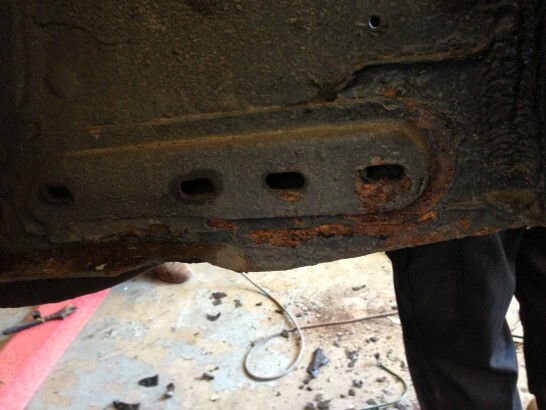 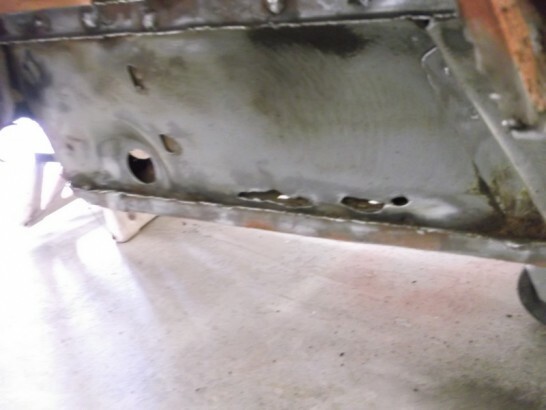 The V6 reinforcement top plates have been removed as the owner was worried that there had been a lack of treatment betwwen the panels when the top plates had been replaced. 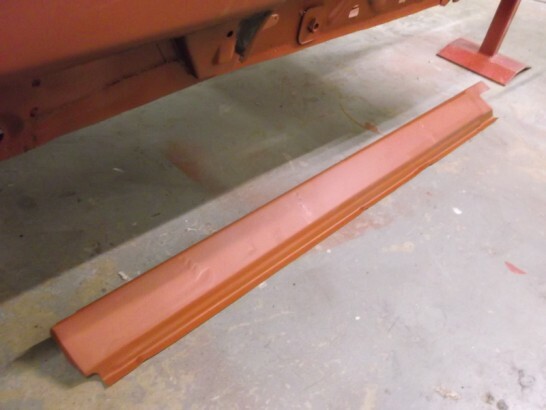 A pair of new ex-pressed steel panels have been sourced and fitted. 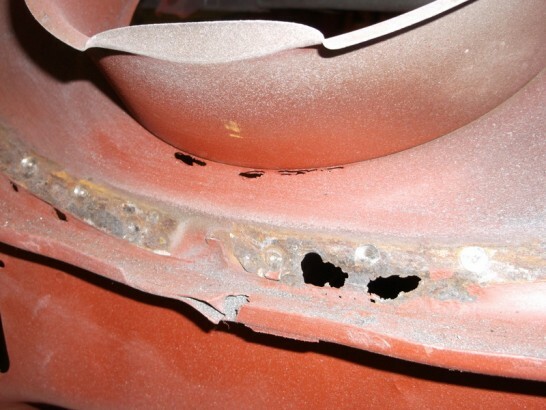 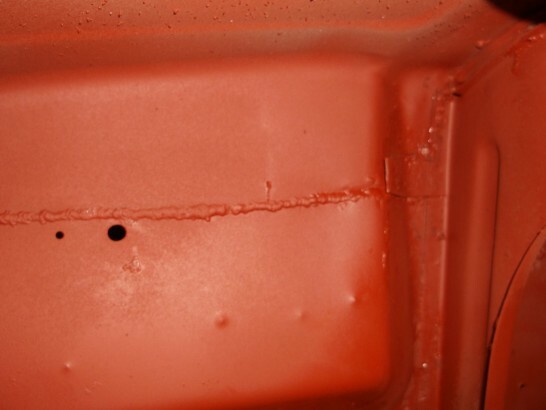 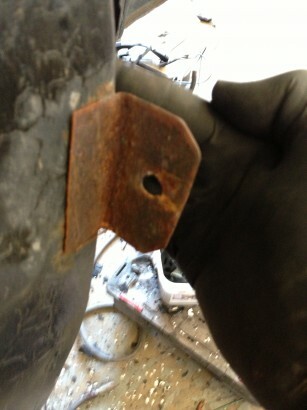 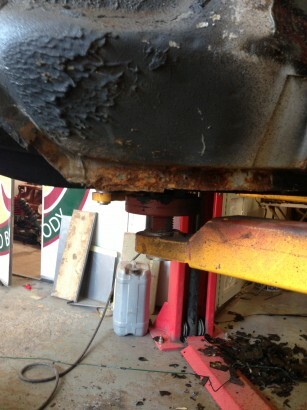 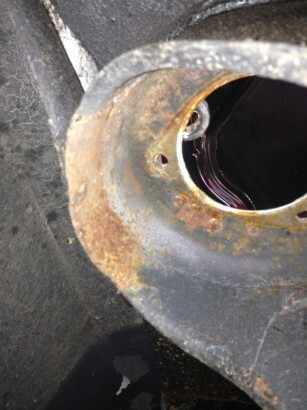 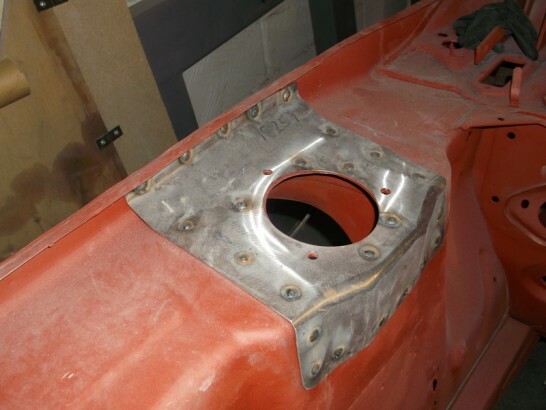 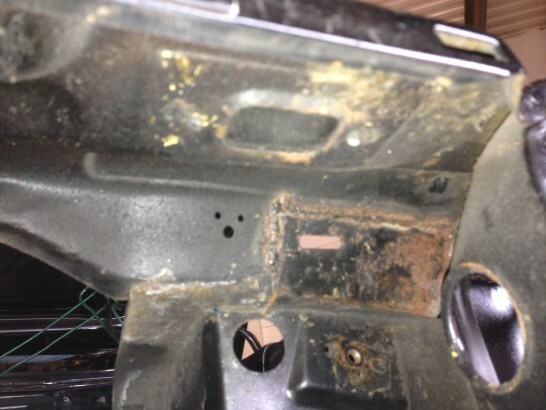 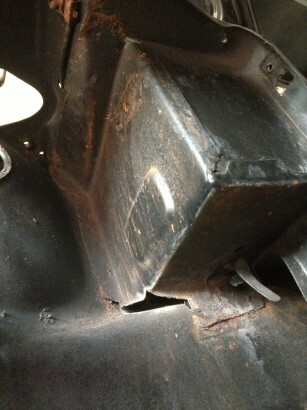 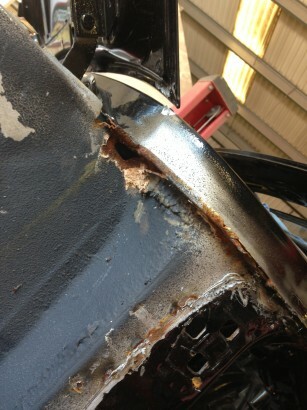 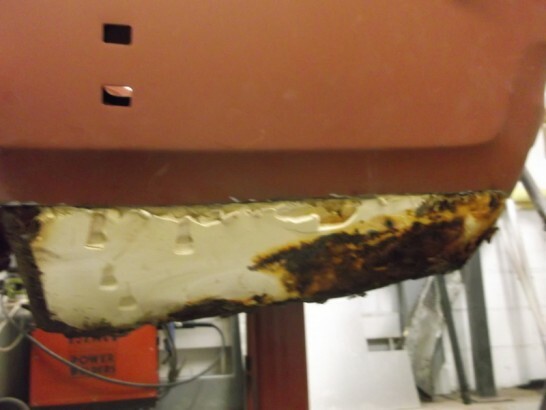 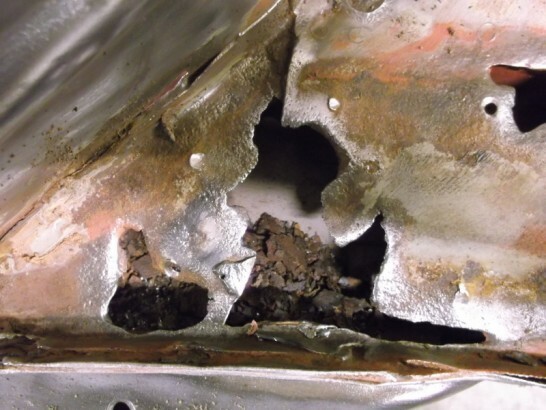 The heater bowl has had to removed to gain access to the bulkhead corrosion. 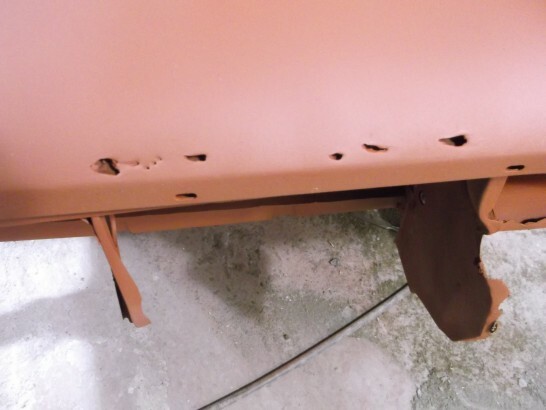 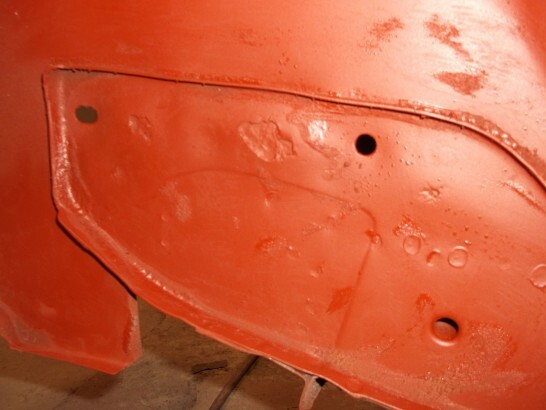 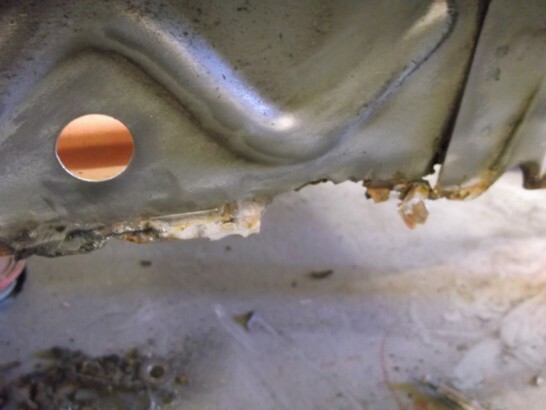 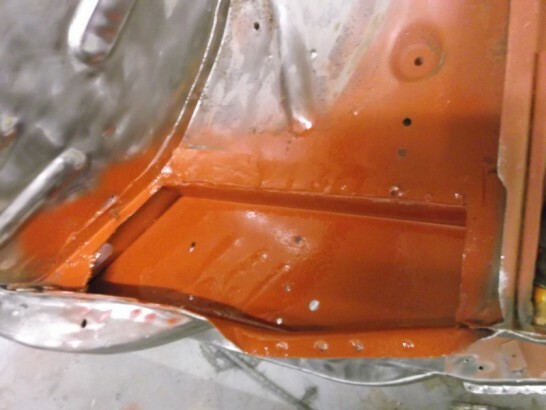 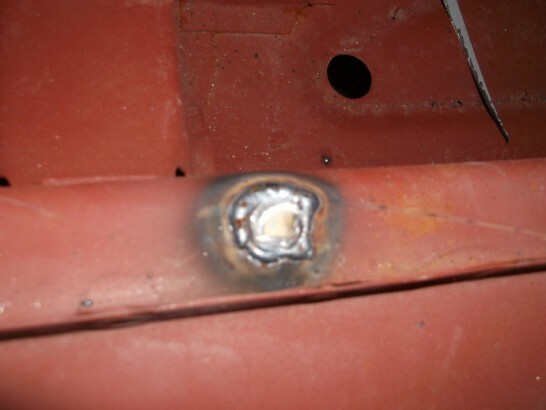 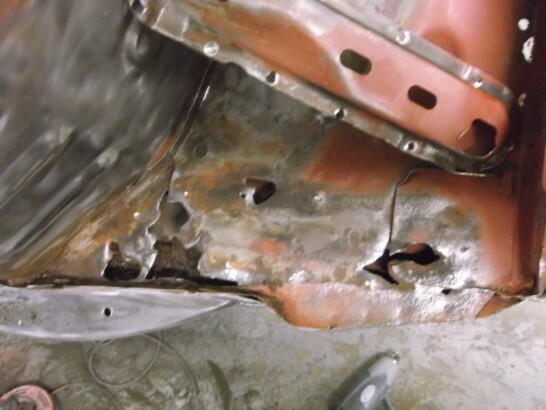 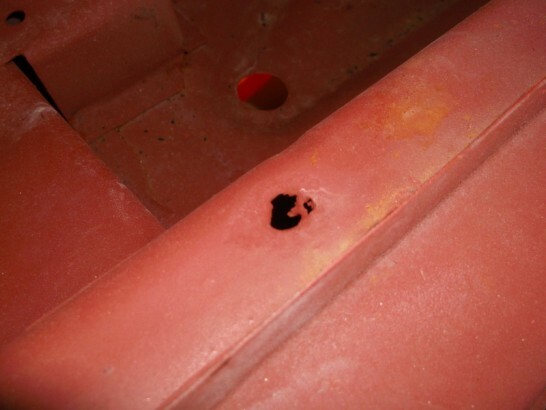 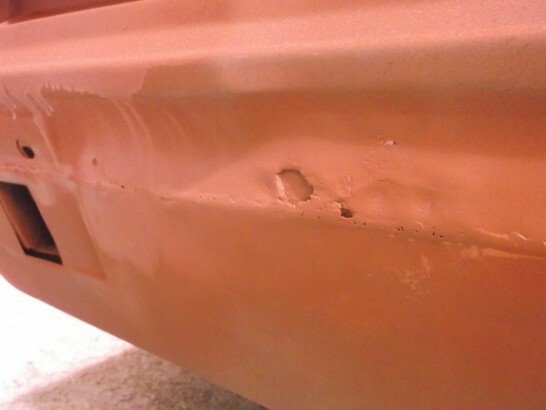 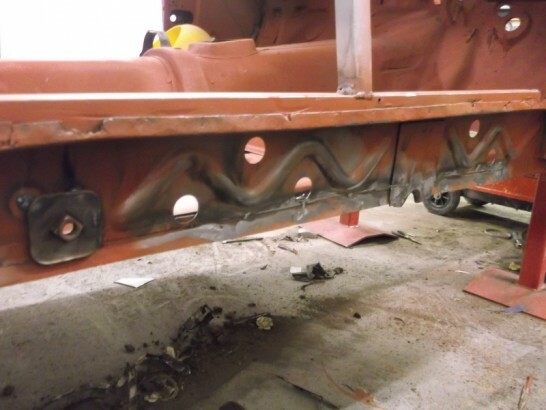 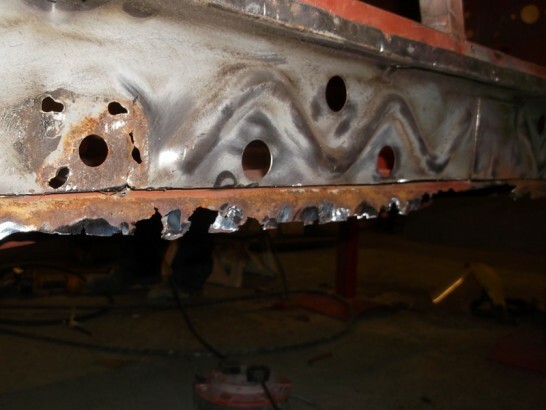 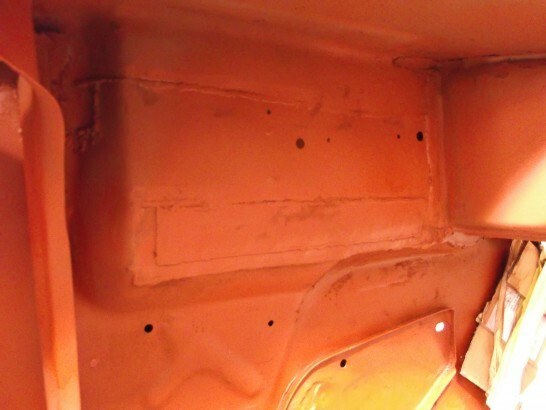 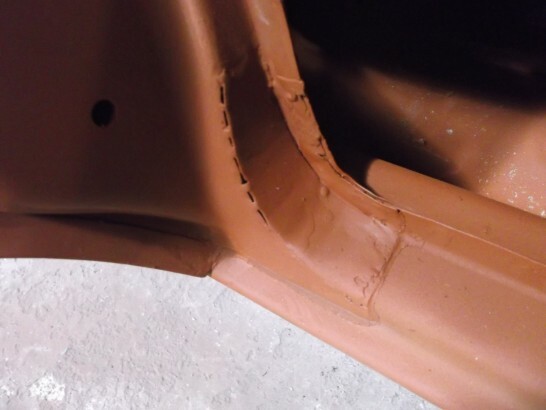 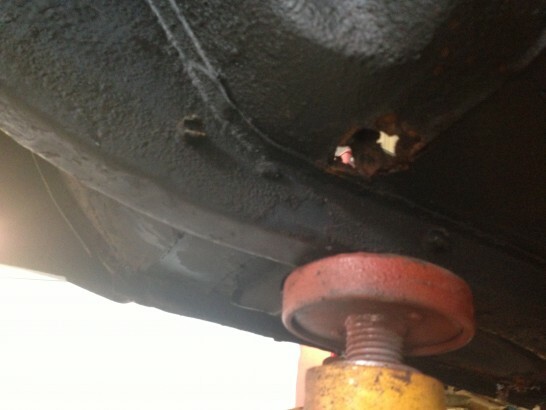 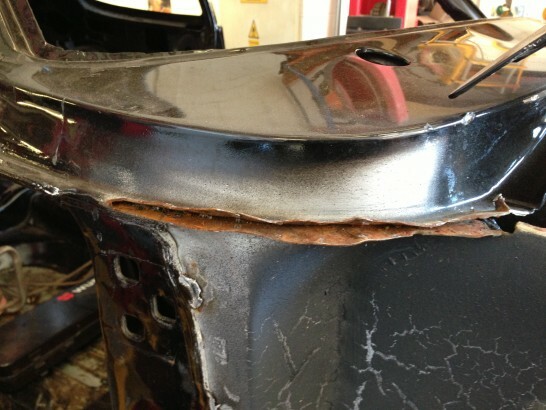 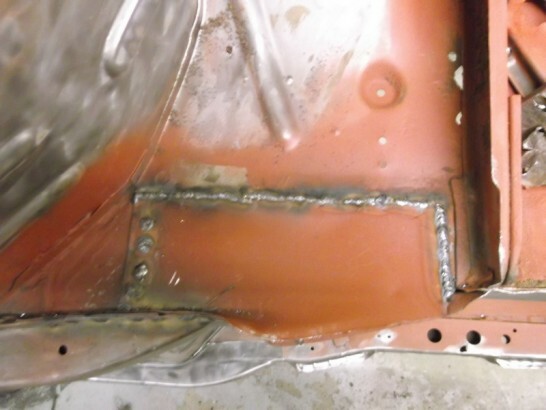 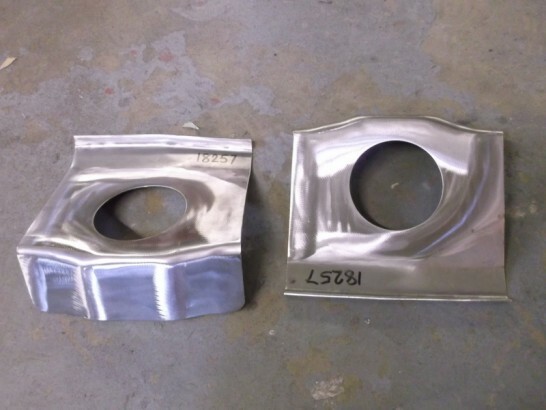 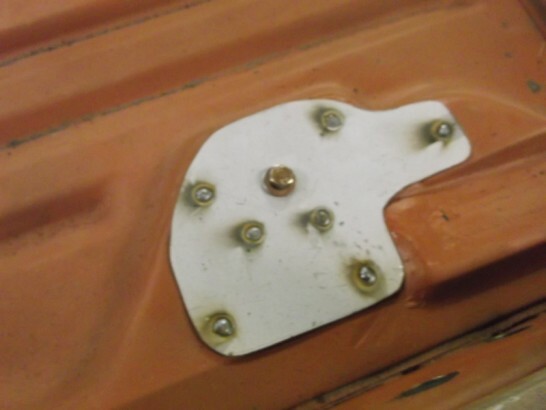 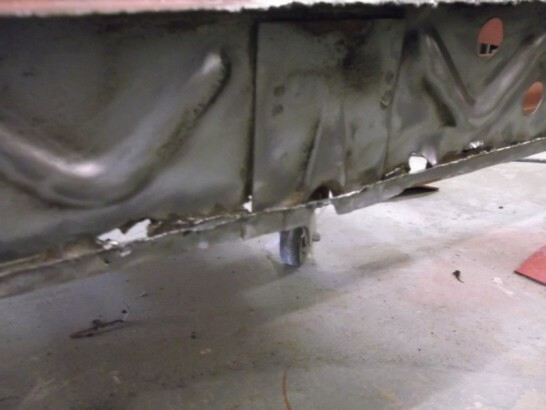 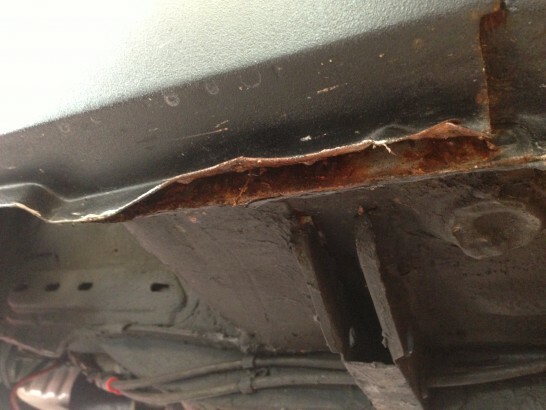 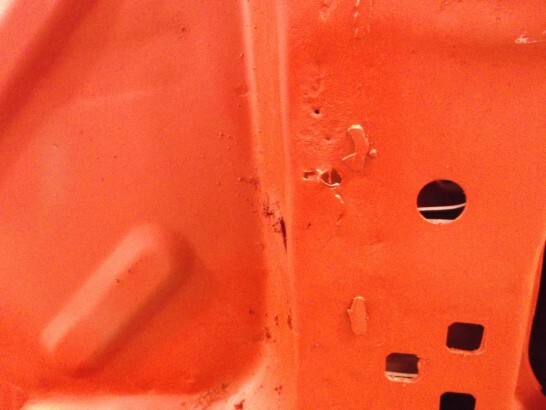 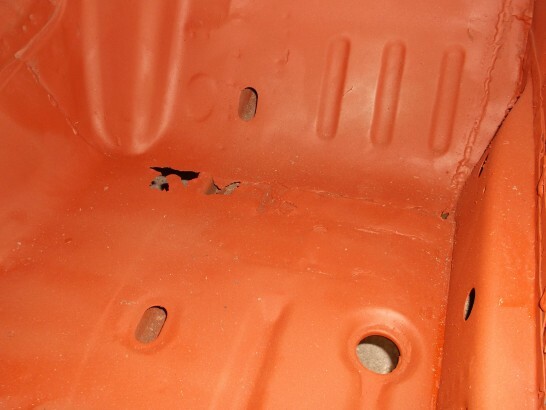 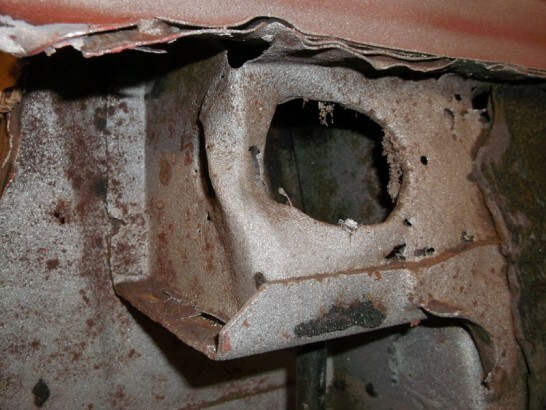 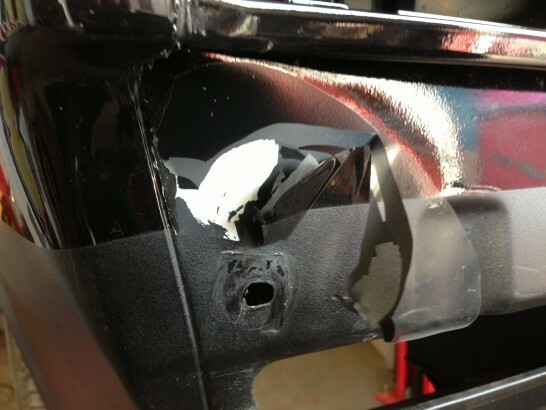 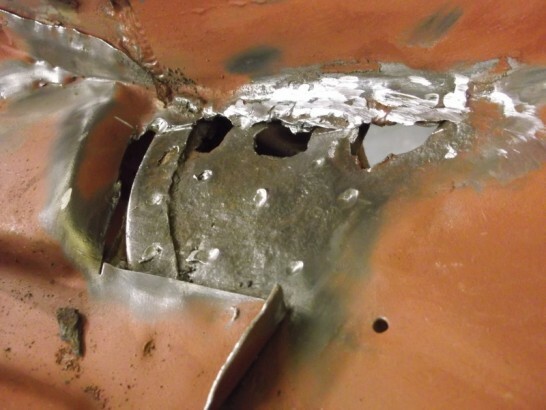 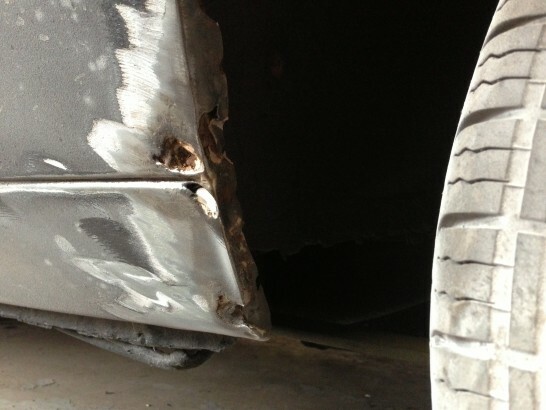 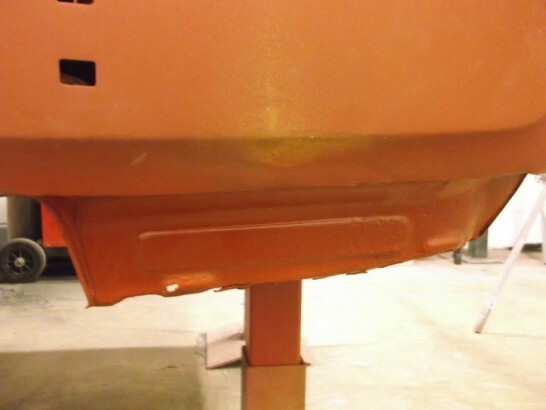 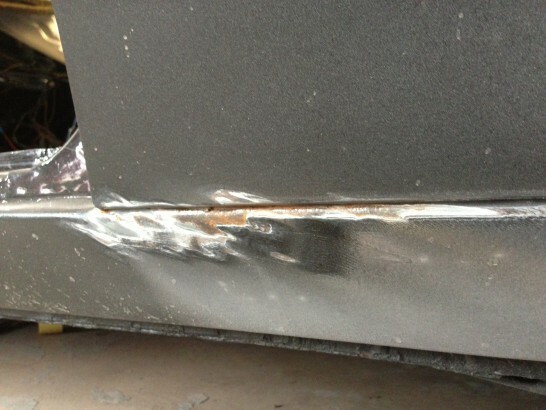 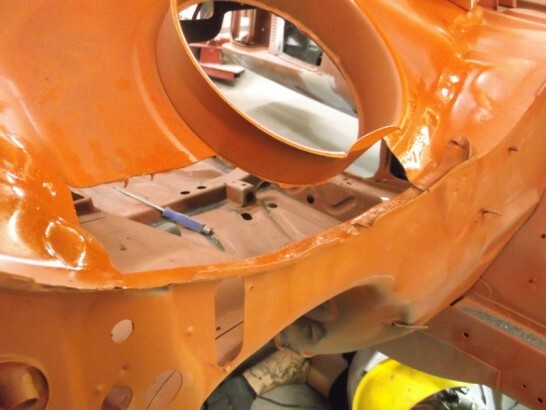 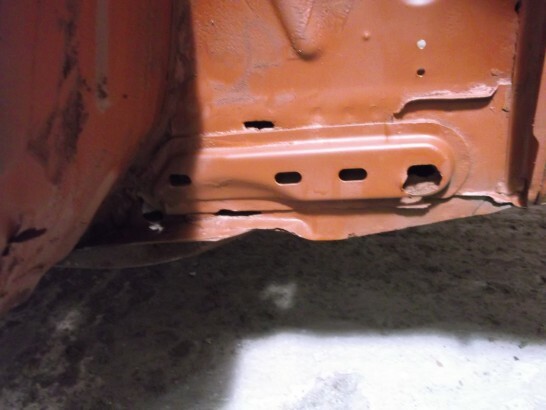 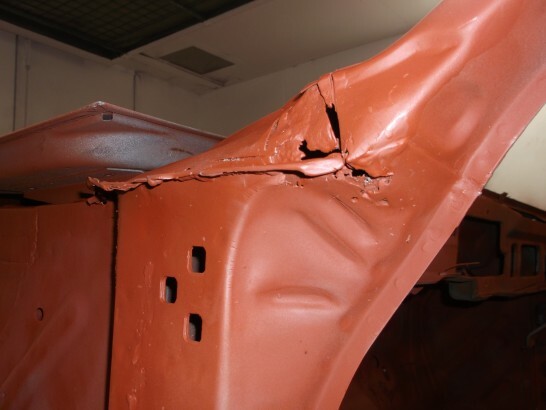 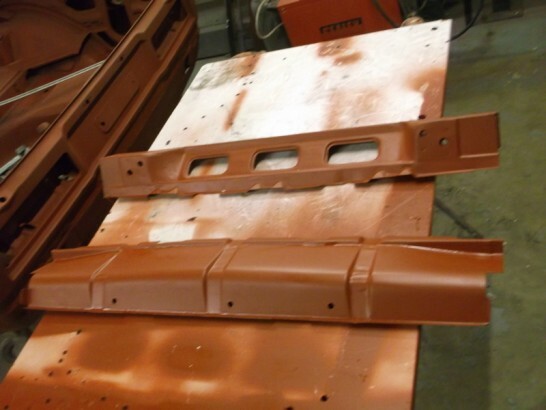 The chassis has just as much corrosion as the rest of the panels, the leaf spring mounting points are wearing thin with only the thicker portions surviving. 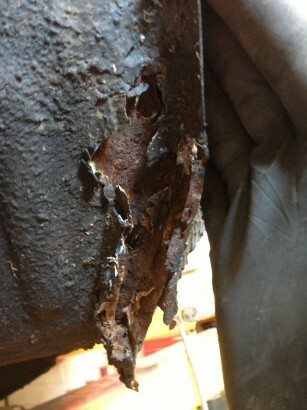 A repair kit from the Capri club will replace the rusty sections. 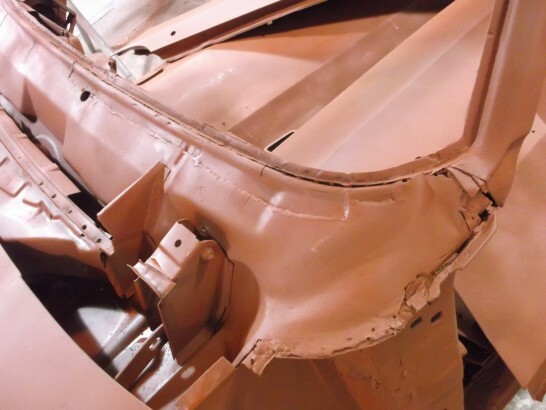 The inner wing V6 reinforcer has been removed and a section of the inner wing removed and a new section fabricated and grafted in.